Nootropics are smart drugs and cognitive enhancers. They are the drugs, supplements, and other substances that improve cognitive function, particularly executive functions, memory, creativity, or motivation, in healthy individuals. Nootropics are quite the rage in Silicon Valley right now where everyone is trying to be more intelligent and gain cutting edge insights to move there life and prosperity forward. Combining L-Theanine and Caffeine is proving to be an incredibly effective nootropic. The combination works this way: caffeine stimulates and creates energy, l-theanine relaxes the mind. The result is a stimulated mind that can focus in a relaxed way at accomplishing tasks. L-theanine has been shown to help children with ADHD focus and also helps put the mind into an Alpha wave “flow” state. The amount one needs to feel the effects vary from person to person. Some researchers have suggested 200mg of l-theanine to 100 mg of caffeine or a 2 to 1 ratio make the perfect nootropic. The average cup of Oolong tea contains 6 mg of l-theanine to 16 mg of caffeine per gram. Tea thus contains a natural 1 to 3 ratio. 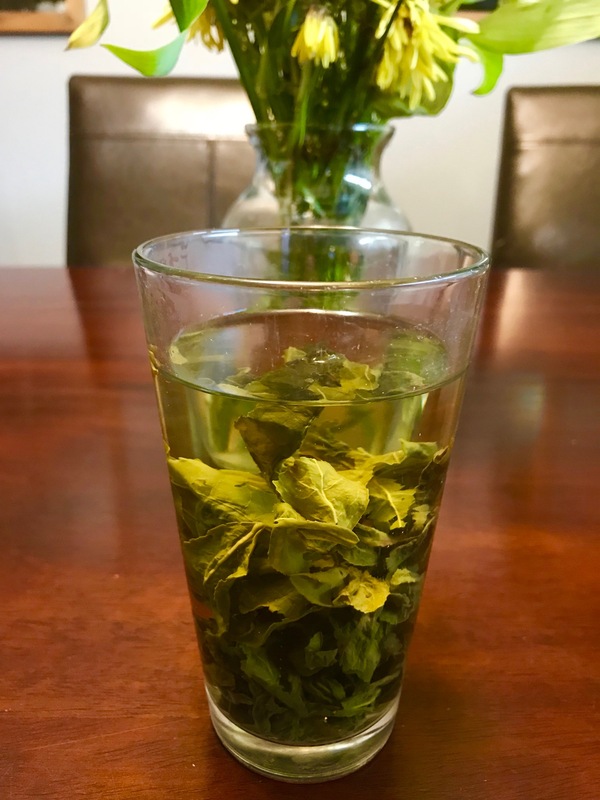 It is to note that to get the right amount of L theanine for a full blown nootropic effect you would need to drink 11 cups of tea during the day. That is quite a lot. Tea therefore is not going to be your therapeutic dose of L-theanine and caffeine. Instead it is going to be a supportive assistant to your daily clarity and awakeness. Of all the stimulating natural drinks we find in the market, coffee, mate, chocolate, etc. it is only tea that provides this benefit. There is a great PubMed paper on the subject here: ratio of caffeine to l-theanine in teas. The benefit of tea then. The calm relaxation and attentiveness of tea is a nootropic synergy between two powerful mood and mentally enhancing substances. They both come in this natural plant. The perfection of nature has combined a relaxant with a stimulant to help you get through your day awake and alert. Next time you are experiencing brain fog, reach for a cup of loose leaf tea from planet-teas and revitalize yourself with a natural nootropic.